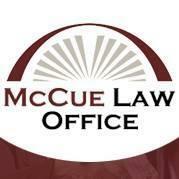 At McCue Law Office in Hampden, Maine, we are fully prepared to help you with the serious and pressing legal issues affecting your life and livelihood, your finances, your property, and your future. Our attorneys possess more than 30 years of combined legal experience, and we provide the friendly, personalized representation you can rely on. A small law firm, we offer the same level of sophisticated counsel found at larger practices, but our small size means we can devote more of our attention on you and your needs to significantly increase the odds of obtaining the favorable outcomes you seek as efficiently as possible. To find out more about how the McCue Law Office can best serve your needs and help you secure a brighter future for yourself and your family, you can contact our office to schedule an initial consultation. Working on a contingency basis for our personal injury, workers' compensation and SSD clients, we will not require a fee from you unless we obtain compensation on your behalf. We help people file for bankruptcy relief under the U.S. Bankruptcy Code.